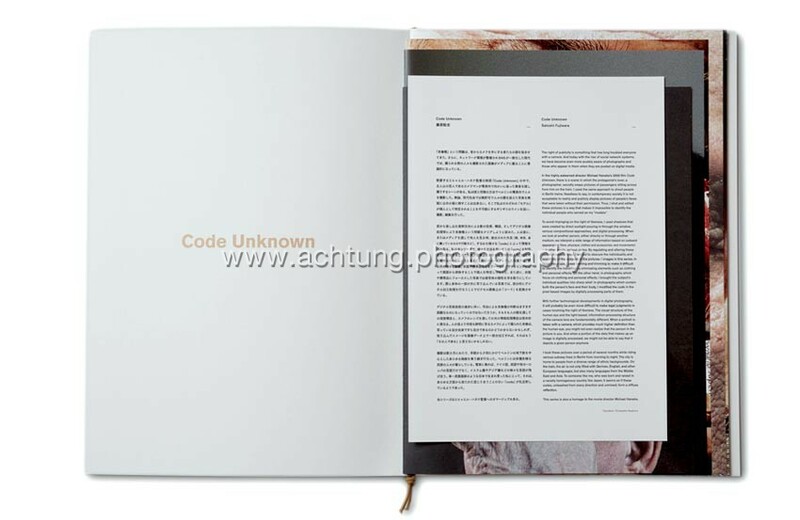 Code Unknown is one of my photobook favourites from 2015. The title is inspired by Austrian director Peter Haneke’s movie Code inconnu: Récit incomplet de divers voyages (Code Unknown: Incomplete Tales of Several Journeys) from 2000. 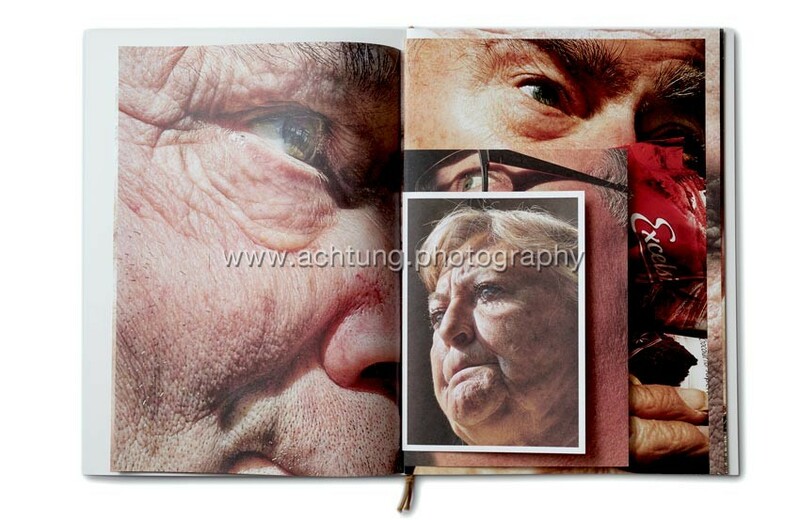 This is Japanese photographer Satoshi Fujiwara’s personal journey through incomplete tales. Fujiwara explores the possibilities of photographing people in the public sphere: in his case the Berlin underground railway. 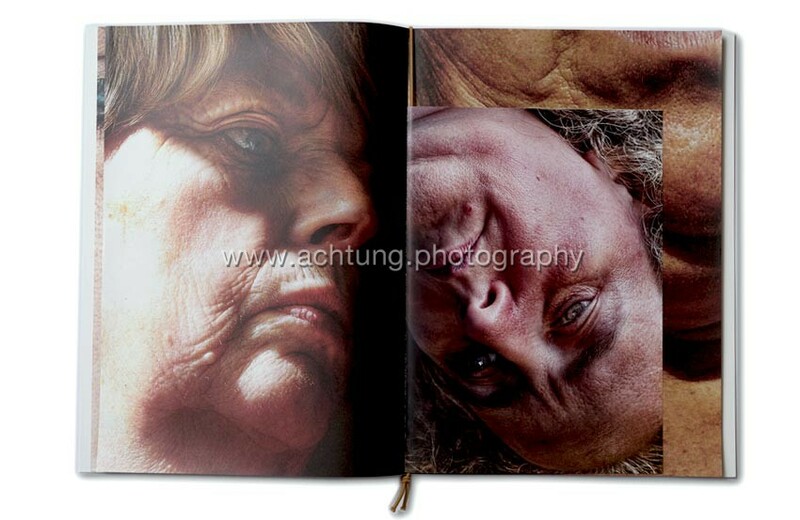 The images are manipulated to camouflage his “models” identities, raising the question of personal copyright. 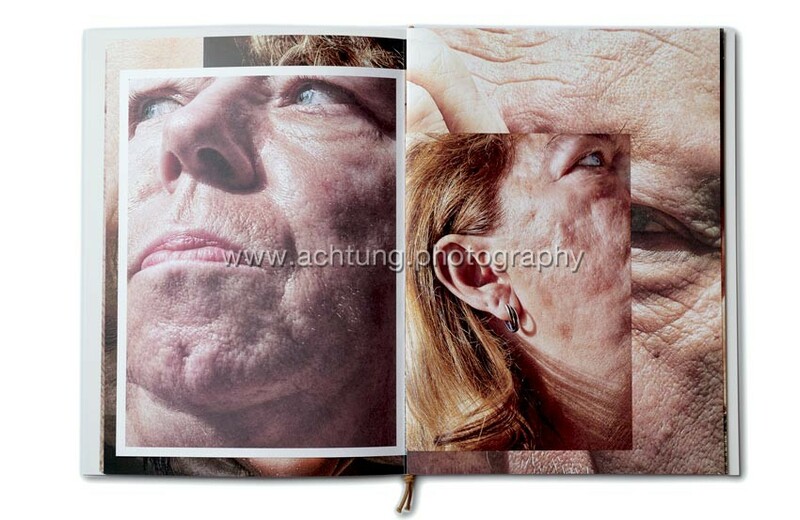 It seems as if his photography has become a game, a race within and around restrictions and boundaries. 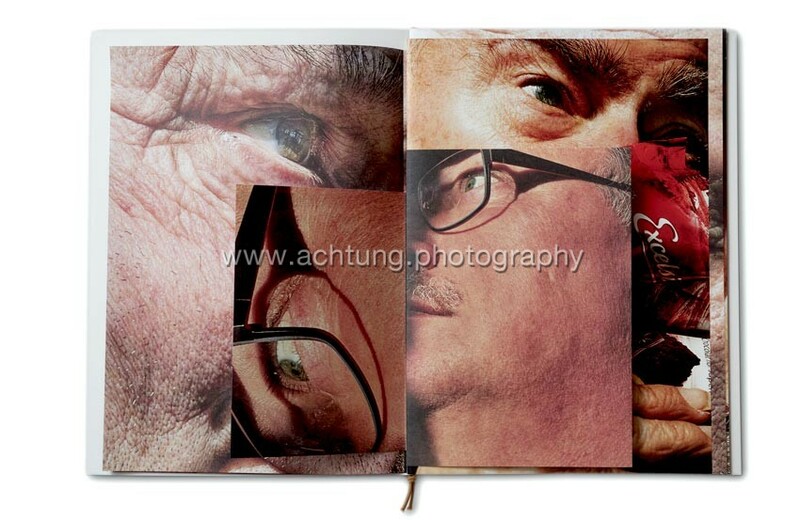 The images are printed on different types of paper and vary in size. 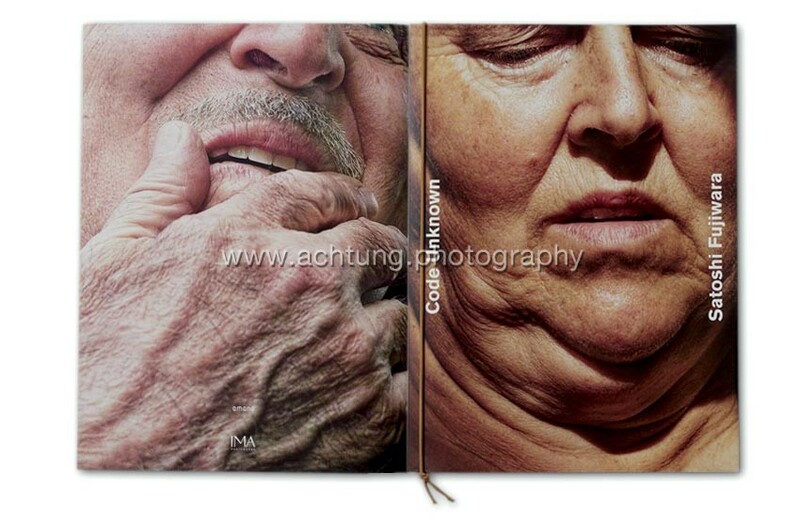 The pages are unbound, held together simply by a cord. The title sheet with Satoshi Fujiwara’s introduction is laid in loose.